As cliché as it sounds, there is no “I” in team. Teamwork is a vital part in making a positive work environment and a successful company. Collaboration with fellow coworkers allows your staff to learn and grow. Here are some tips that will give your company the opportunity to strengthen your teamwork. There are some days when your employees just want to sit in their cubicles all day and pop in their headphones, resulting in zero social interaction with their coworkers. An easy way to increase teamwork amongst your employees is to assign them a project that makes them work with one or two of their fellow coworkers. This is an easy way for your employees to get to know each other and increase their group synergy. Lunchtime is a great opportunity to build up teamwork in your company. 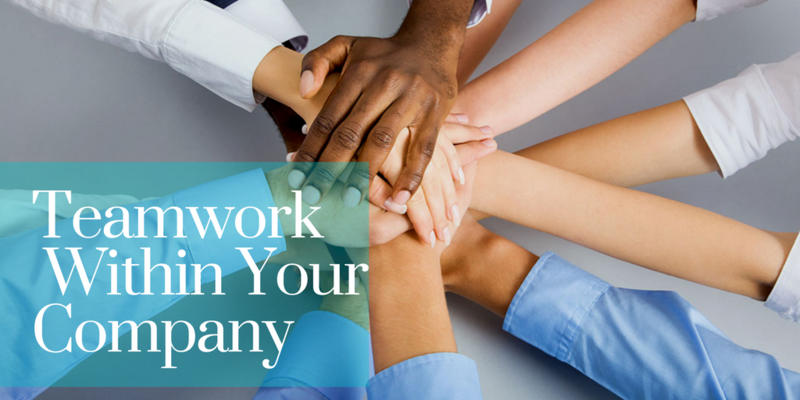 In order for teamwork to be successful, it is important that your employees are fond of each other and can communicate about more than just work-related issues. The more someone knows someone else, the more they are willing to work together. Challenge your team to eat lunch with a different coworker each week. As time progresses, your team will get to know each other on a personal level. From retreats by the lake to ropes courses, these team-building games give a more light-hearted approach to increasing teamwork. Activities that require your employees to work as a team strengthen their ability to work with one another. These activities can be overlooked and viewed as not effective. However, they help because they allow coworkers to experience teamwork outside of a work environment. Employees will gain a better understanding of how their fellow coworkers solve and cope with problems. Teamwork building doesn’t necessarily have to happen at a designated time. Your company can experience teamwork during everyday tasks. For example, use icebreakers in meetings and celebrate team member’s successes to the whole office. These tips will not only strengthen your staff’s ability to work together but will also make your employees view work as a positive place where they can confide in their coworkers.